Tarbuton, Israeli Cultural Center, classes begin September 9th and 10th! 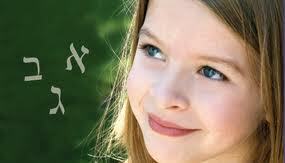 Hebrew for All Levels – Israel Education – Jewish Holidays Israeli Style – Israeli Dance Troupe and Singing Ensemble. Classes available for pre-school, K-8 and Hebrew for High School Credit. And Adult Ulpan. Full Class schedule. Subsidies provided by the Jewish Federation of San Diego’s Innovation Grant and Leichtag Foundation. ← Missing cheesecake like you know it tastes in Israel?